Since PS4 was released in November 2013, it has completely thrown us head first into the next generation of gaming. With greater graphics and smoother gameplay, the many capabilities of PS4 have allowed us gamers to indulge in some of the most memorable titles to date. Question is, of the many games available on PS4 spanning over a indefinite amount of genres, which are the must haves, which games would you be a complete loon not to play. Well, here I will provide a top 10 of PS4 games that have made the next generation of gaming so darn fantastic, games you simply have to get your hands on. Do you have an online crew? A group of friends you just love playing every game imaginable with? Well, for you guys, this 4 player co-op adventure is no less than perfection. In this sequel to Square Enix’s Lara Croft And The Guardian Of Light, Crofty travels to Egypt in which she must team up with rival raider, Carter Bell and two imprisoned God’s, Isis and Horus in order to defeat the exceptionally evil God, Set. From traps of all shapes and sizes, to hungry crocs, to putting your trust in a team mate not to release you as you hang helplessly from a grapple, this game is enjoyable on almost every level. The Temple Of Osiris is solely orientated around team work. 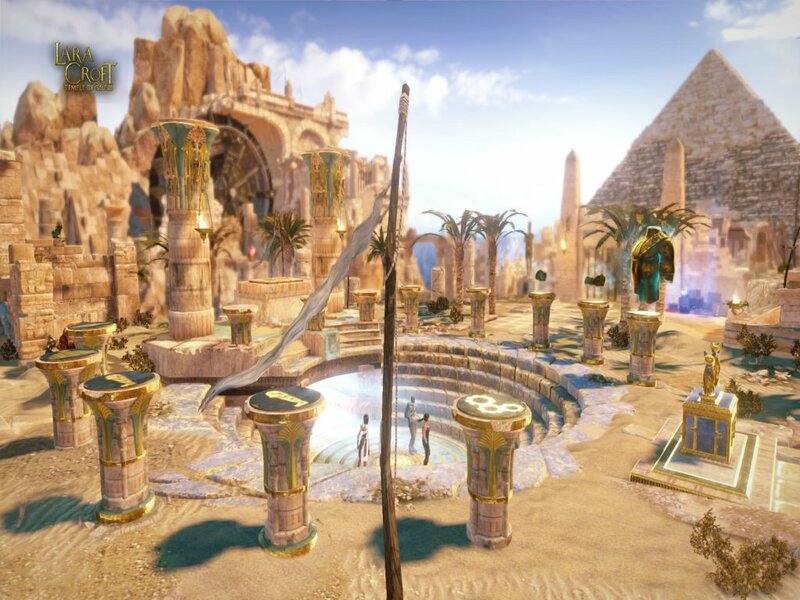 Scattered throughout the Egyptian setting are temples in which players must come together into order to complete puzzles and in turn be rewarded with an array of different items. Even to progress further in the game and unlock new areas compulsory to the story, players must bash their bonces together and complete other puzzling tasks. To top it all off, the game offers well, a darn right good laugh! I mean, it’s rather amusing having your friend beg you not to drop them from a ledge and tormenting them by repeatedly doing so! Square Enix really exploit the social aspect PS4 has to offer in The Temple Of Osiris and in doing so, they have created one of the most enjoyable co-op games to date. Ubisoft’s poetic story of Aurora as she tries to reunite with her father is thoroughly indulgent to say the least. Child Of Light is set in the fictional wonderland of Lemuria, beautifully portrayed with stunning visuals. After Aurora initially wakes in the mystical land after being stolen from her home, she encounters a firefly and the pair proceed to find the Lady Of The Forest who may the only one capable of sending her home. Upon rescuing her, The Lady Of The Forest enlightens Aurora that Queen of Darkness, Umbra has Lemuria consumed with evil and that Aurora’s only hope of seeing her father again is to free Lemuria from Umbra’s clutches. Intent to be united with her father, Aurora complies and so begins one of the most alluring games available on PS4. Child Of Light is a platforming role-playing game, featuring more turn-based combat and parties. Interchangeable party members make encounters with enemies really quite addictive as players can chooses specific members to play to their strengths and weaknesses. Also, as mentioned prior, Child Of Light possesses captivating visuals. Ubisoft’s imaginative setting really engrosses the player, it is almost impossible not to become lost in the dark and sinister atmosphere that is portrayed so effectively. Even from a more 2D-platforming perspective the game has the power to engulf you in what is so aesthetically pleasing, I mean even the enemies look great. 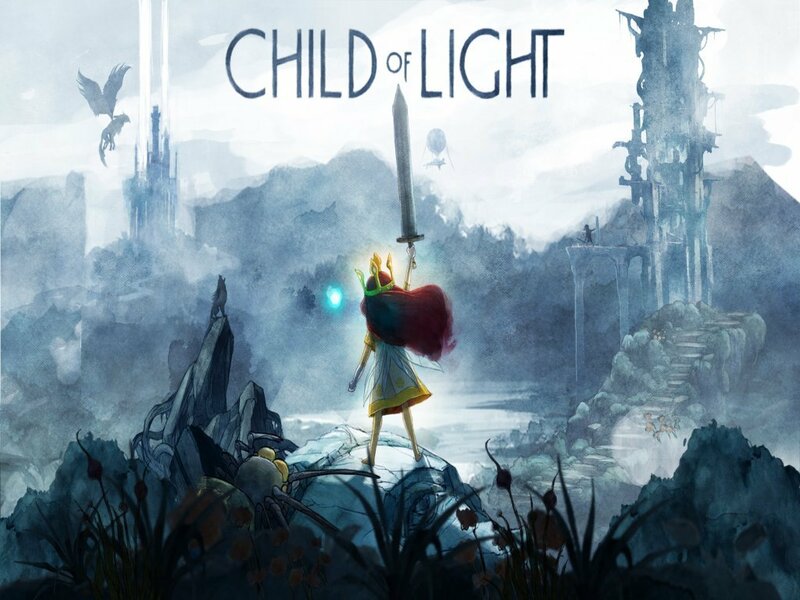 To top everything off, Child Of Light presents us with a protagonist that is easy to fall in love with, which we all know is a key aspect to maintaining a player’s interest. Aurora’s innocence is endearing, she is lovable and oblivious initially and it is incredibly interesting watching her character develop as the game progresses. Her sweet, child-like exterior doesn’t contain her sassy and courageous personality for much of your play-time, I assure you. Child Of Light gives us more nostalgic players a chance to revisit what makes more simple platforming games so additive. Much like legendary platformers – Crash Bandicoot or Ubisoft’s own Rayman, Child Of Light is another game that is just impossible to leave alone. You’ll be tearing you hair out before tearing your hands off your controller, trust me. With beautiful cinematic story-telling, vast and vibrant planets to explore and a dynamic selection of enemies to take on, Bungie’s wonderful first person shooter is a game that will maintain your interest for a prolonged period. The story picks up after an event known as The Collapse, in which many established colonies of humans, living on planets throughout the solar system, were mysteriously terminated. The remains of the human race congregated on earth, protected by a celestial body known as The Traveler, which levitates above the planet. The player occupies their own guardian and must battle their way through an army of alien races, in order to revive The Traveler and ultimately maintain mankind. 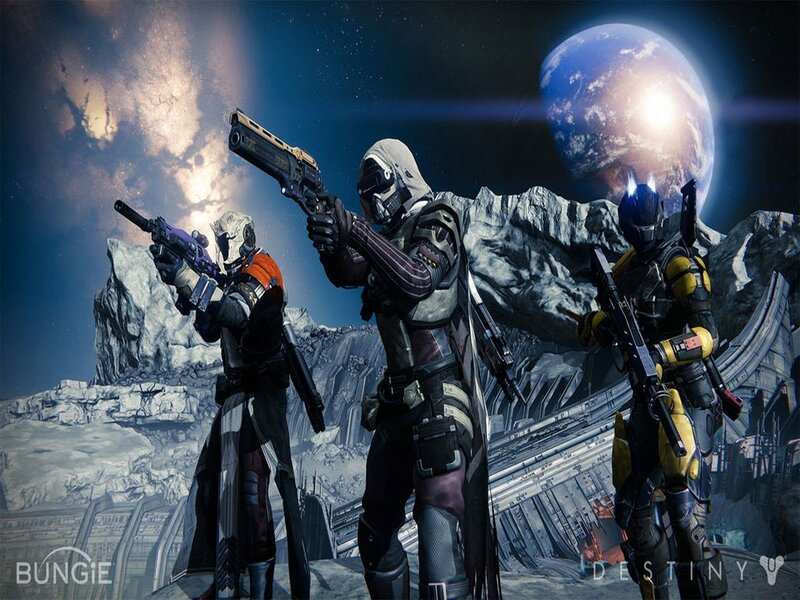 Destiny allows the player to choose from 3 different classes of Guardian: Titan, Hunter and Warlock, each wielding different abilities and special moves. Players may also pick a race, altering the physical appearance of their guardian: Human, Awoken or Exo. Even initially this game has the ability to reel in a players interest, as I think we all know too well how enjoyable it is tinkering with a players appearance, it is almost an art form for gamers. In addition to this, the surroundings of Destiny are magnificently enticing as although not entirely open-world, the vast lands a player may explore are beautifully presented, each well-suited to the enemy race occupying the planet. On the topic of the enemy races, Destiny throws us up against a total of 4 different alien races known as: Fallen, Hive, Vex and Cabal. Each race vary hugely in appearance and possessing different abilities and ways of tackling a player. It is worth noting also, that each race is not only hostile to the player but to each other as well and it is common to see the differing aliens warring among themselves. It’s great if you want to kick back, relax and watch the numbers of enemies dwindle away before storming in to finish them off. To top it all off, Destiny has an intriguing story. Bungie have limited the knowledge the game hands the player, encouraging them to tie up lose ends by checking out the Grimoire Cards on the allocated website (Grimoire Cards are earned naturally through story progression). This lack of insight can coax a player into looking further into Destiny, to fill in the gaps essentially. Destiny is also an exceedingly social game. The main hub (The Tower – Earth) is a place where players flock alongside other guardians, performing actions and messing around. From here, players can proceed to different planets together, head to online game modes (The Crucible) or just take a break from rescuing mankind. You can never have too many games orientated around space and the extraterrestrial, as consciously or sub-consciously we all have an underlying interest in the unknown. Destiny is another gem in this genre of game and it does well to feed our insatiable interest in what lies beyond Earth. This Playstation exclusive is quite the treat for a players more imaginative side. LBP 3 is set in the wondrous fictional world of Bunker. Under false pretenses our protagonist, Sackboy releases 3 evil titans and then must stop them and our evil antagonist, Newton from destroying the creative and blissful place in which they live. A simple premise I agree, however this game will not constrain your imagination with any boundaries. Furthermore, featuring full voice acting unlike LPB’s previous installments (including the narrator of the tale – Stephen Fry and Hugh Laurie portraying extraordinarily evil Newton), this game will hurl the player into an incredibly awesome adventure. Much like it’s predecessors, LittleBigPlanet 3 is a platform-puzzler, featuring layers in which players can hop back and forth from as they let their imagination run wild (LBP 3 has 16 layers unlike the first two games which only provided 3). The game also has 3 new playable characters known as Toggle, Oddsock and Swoop, each harnessing different abilities key for tackling certain obstacles throughout the game. LittleBigPlanet offers players a vast variety of things to do. Players can either lose themselves in the intricate and well-created levels of the story, gaining item rewards and allowing those more competitive players to try and beat scores. The story also allows players to play with their friends or randomers playing the same level. It is rewarding doing so as some parts of levels require more than 1 player to access certain items. For those a LittleBig more social, there is the LittleBigPlanet community. This online orientated aspect of the game allows players to play levels created by other players. Whether you play them alone or with friends it is exciting exploring the imaginations of others. Also, if you feel up to the task, here you can make your own levels for other players to play, like, heart and review. However, despite the overwhelming amount of ventures LBP offers us, I can almost guarantee that you will spend hours in your Pod dressing up your Sack character with the enormous amount of clothing items you can either earn or purchase, but don’t feel like a moron, all LBP players do it. LittleBigPlanet 3, a game that would initially appeal to a younger age group is so much more than a ‘child’s game’. The game offers ample opportunity to do or create well, pretty much anything you can think of. It is another game that allows players to enjoy the social side to PS4 and alongside a brilliant story, this game has everything to keep a player hooked for hours. 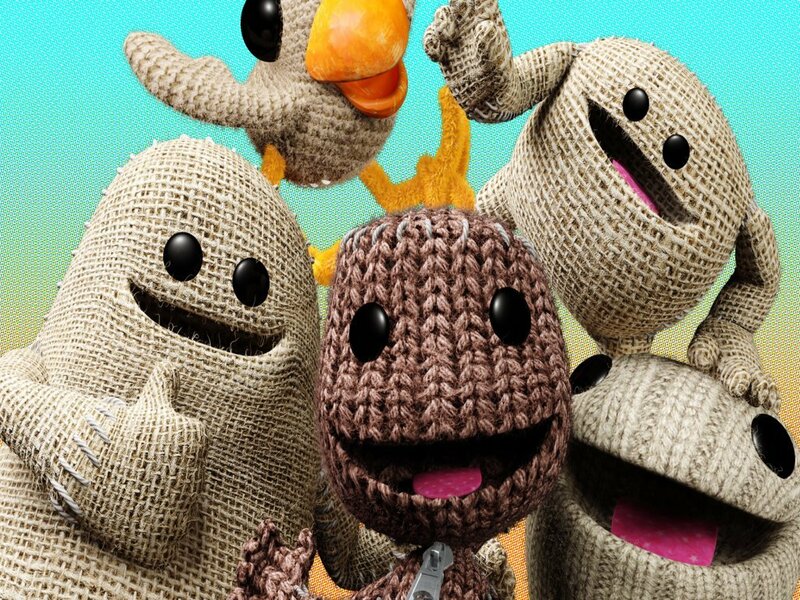 Join the LittleBigPlanet community if you haven’t already, share your imagination on one of PS4’s most wonderful games. Bethesda’s Nazi-slaughtering first person shooter, Wolfenstein: The New Order is hands down one of the best first-person shooters out there for PS4. The hypothetical story of Nazi’s winning the war and dominating the world is sinister and gripping as it allows players to ponder what could have been had the war concluded differently. 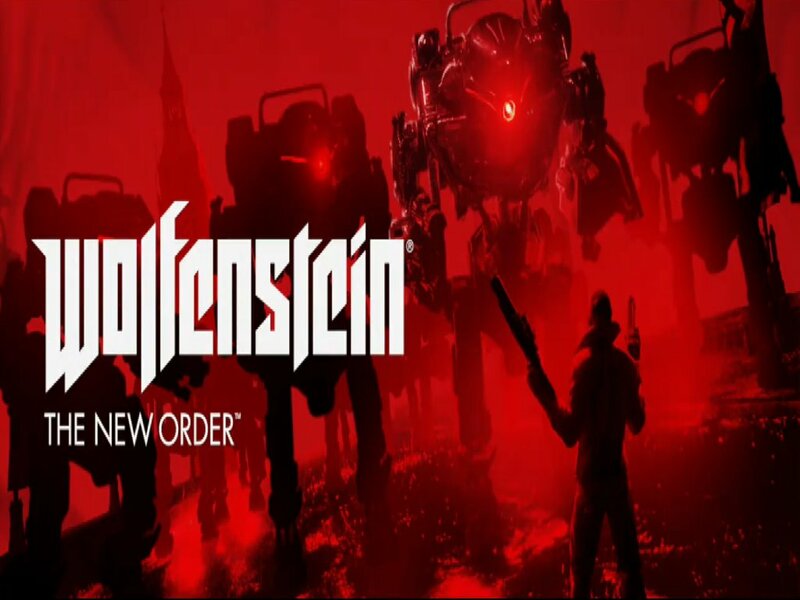 Playing as B.J Blazkowicz, the player must murder Nazi’s and overcome their array of robotic weapons in order to reunite with the rebels and conquer Nazi forces, ultimately retrieving their world from the German lunatics. One of the most enjoyable aspects of Wolfenstein: The New Order is unquestionably the weaponry. From dual-welded pistols to being armed with two hefty assault rifles, from blowing heads of with an enormous laser gun to shredding through enemies with a shrapnel shotty, the onslaught of weapons you can attain are insane, you certainly wouldn’t want to be a Nazi on the receiving end. The New Order may as well feed the player to the lions, well specifically to big robotic dogs. Yes, we aren’t only taking on an army of Nazi’s, but also giant robotic dogs that have a tendency to snap at you when you least expect it and massive mechanical men that would gladly rip you limb from limb. Bethesda have introduced a rather riveting leveling system. In order to make weapons more agile, accurate or powerful, or to gain access to new abilities players must complete a challenge in order to reach the next segment of each designated section. This is great for allowing the player to utilize all aspects of combat within the game, offering suffice opportunities to try out new and effective ways of taking on the Nazi’s. The New Order may lack online aspects but the challenging campaign is more than enough to keep you occupied for quite some time. You’ll have to at least play it twice to give both of the alternate story-lines a whirl. Wolfenstein: The New Order is savagely sinister. The game is absolutely hands-on hectic and you will discover so quite shortly into the game as you begin dismantling Nazi after Nazi. Grand Theft Auto has dominated the gaming world for generations. For years we’ve been stealing cars, running over innocent pedestrians in ridiculously over-modified vehicles, overwhelming our inventories with anything from hammers to rocket launchers and GTA 5 not only maintains those standards but exceeds them. With an exceptionally larger amount of criminal activities to partake in, Rockstar’s GTA 5 really succeeds in raising the bar for this series. The player is able to play as 3 characters who join forces to reignite the thieves within them and ultimately pull off one of the biggest bank heists imaginable. GTA 5 is difficult to compare to any game purely on account of the sheer scale of things you can do. You can make money by doing missions or selling vehicles over a spread of 3 highly differing characters. You can slaughter tons of random people and then try to escape the police. Modify vehicles to a preposterous extent to then go smash it up doing some extravagant stunt jump. Or you can do what admittedly every GTA player has done at some point and simply play nice! Go get a haircut, drive within the speed limit, take a stroll by the sea or purchase some properties. There’s honestly a mind-blowing amount of things you can do. GTA 5 has also a very enhanced multiplayer that Rockstar’s free DLC continues to make more enjoyable. Online you can play missions, races or deathmatches with other players, you may possess several properties, having each of which brimming with millions of pounds worth of high-end vehicles or you can just go all out, guns blazing, mowing down every online player you can within your lobby. Also, recently introduced by Rockstar, GTA 5 now has heists that players may take part in with up to 3 other players in which you can organise a bank robbery and earn big cash rewards. 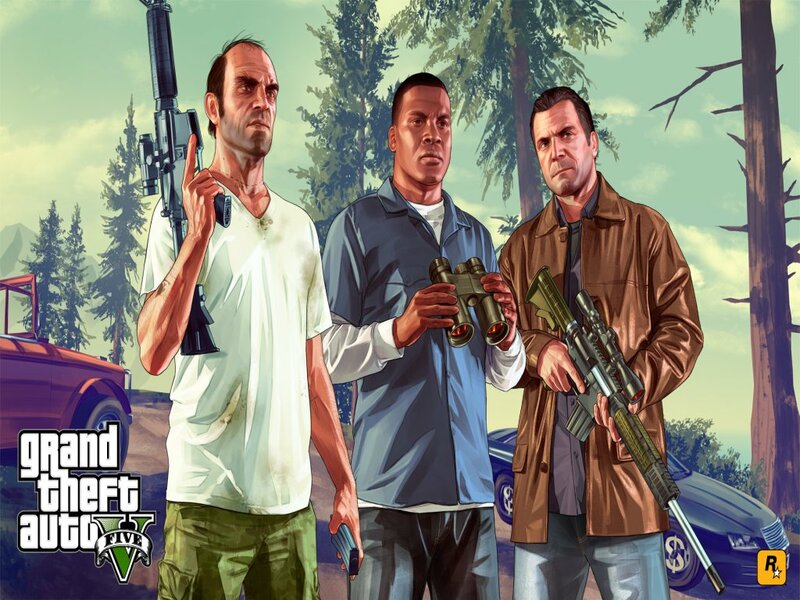 Whether you are caught up in the story or the madness of online, GTA 5 is a game with just oodles of entertainment. It caters for so many types of players and as mentioned prior it is a game incomparable to any other. Much like earlier games in the series, Infamous Second son basically entails parading around a fictional Seattle with a range of super powers. The game follows, Delsin a delinquent who seems to enjoy attracting the attention of his cop brother, Reggie. During an argument stemming from Delsin’s bad behavior, a military truck carrying conduits (technical term for someone with superpowers) crashes and as Delsins pulls one of the 3 conduits out of the wreckage he absorbs his power. In confusion and fear Delsin hunts down the conduit for answers. After catching up with Hank, leader of the D.U.P (Department of Unified Protection), Augustine Brooke confronts the pair for questioning. Using her concrete power she engulfs Hank with rock and then proceeds to question Delsin who remains silent about his recently attained powers. Augustine then begins torturing Delsin’s tribe for answers, hospitalising most. Upon waking a week later, Delsin learns from his brother who was spared, that the only way to save the remaining tribe members is use Augustine’s power. In light of this, the pair set out to nab her power. Infamous is a diamond in this generation of gaming. For starters players are presented with a protagonist that can win you over within the first cut-scene. Delsin is a brilliant main character, he’s witty, sarcastic, troublesome but so lovable and loyal all the same. 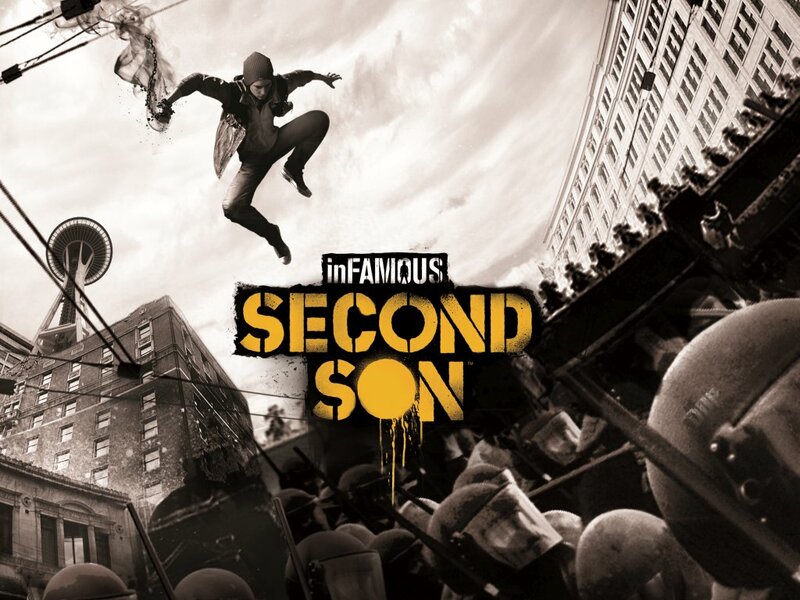 Second Son is to put it simply, easy. With all superpowers and combat upgrades being so easily accessible with just putting some time into the game, the player themselves will likely feel as if they’re super hero. The upgrade system is too very simple. The player must collect shards from drones, scanning stations or from story missions and in turn may upgrade branches of their powers. There are in total 4 powers Delsin may attain and upgrade. Much like the past Infamous games, Infamous SS is also offers some diversity. You can either play the game with good or bad karma, each of which will allow you to branch off in different ways when upgrading your powers. Another really enjoyable aspect of this game is the supporting characters. Around Delsin are the conduits he saves, his strict older brother his tribe he is trying to liberate and all these characters ultimately put Delsin in a more appealing light. His interaction with these characters gives players all the more reason to shed some sympathy towards him and the other conduits. All in all, Infamous Second Son is a light-hearted and very enjoyable game. In an indescribable way you will finish the game and want to play it again and with the two types of karma each allowing you to perform different moves, partake in certain missions or even twist the story, you will have every reason to. 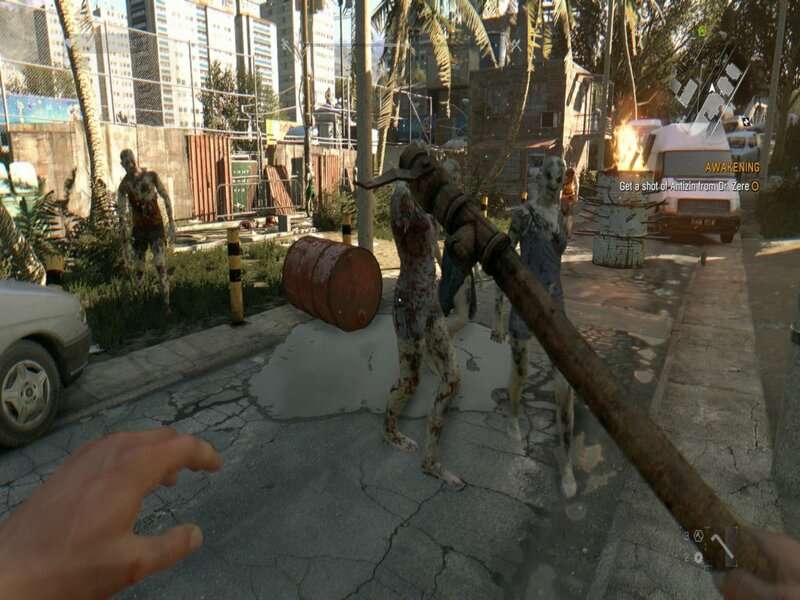 Techland’s Dying Light is zombie-killing at it’s finest. With a million of zombies to kill and limitless ways and weapons to do it with, this game is brilliant if you want to get a little bit of virtual blood on your hands. The player takes the role of Kyle Crane, who after being hired by the GRE (Global Relief Effort), must venture into Harran, a city quarantined after a viral outbreak resulting in zombies here, there and everywhere. The purpose of his endeavor is to recover a stolen file being used to blackmail the GRE. Upon landing in Harran, bandits attack Crane and infected are alerted and begin to swarm. Thankfully, he is saved by two survivors and then taken to the Tower (survivors HQ) and proceeds to work alongside the survivors to progress in his mission. All the while he learns how to free run and ultimately survive in the hostile environment in which he must complete the job. Dying Light grabs itself a gold star on how completely barbaric the game is. Scrounging for something to use to whack off a zombie head or two or a mod to set the infected alight. It really puts into perspective how surviving would be in such an environment, scouring every inch of every abandoned home for resources, constructing completely absurd weapons out of scavenged goods – indeed, Techland do well to illustrate a post-apocalyptic setting. Combat is brutal in Dying Light and easy to enhance as by leveling up your power stat (one of the 3 skill sections), you are able to discover new ways of slicing up zombie guts. A very predominantly useful and almost iconic aspect within the game is free-running. Leaping from building to building as you escape hordes of infected is noticeably smooth and well developed. This is significant considering how vital the aspect is whilst playing. Another addition to Dying Light that makes it such an amazing game is the dynamic day-night cycle. Although it sounds like an trivial detail, after surviving your first night in Harran, you will begin to cherish every second of daylight as when the sun sets the screams of hungry infected fill the air and they will begin actively hunting you. Believe me, after dark you don’t want to be mashing zombies on ground level, you want to be either indoors or on rooftops avoiding the many frightening surprises Dying Light’s nighttime holds. Dying Light can become a very frantic game however, traversing through zombie mobs as you explore the open-world setting of Harran is something you will relish in. Countless side-quests give the player plenty to do even after the story reaches it’s pinnacle and regardless, you will bask in finding new ways to take down the undead. Another wondrous role-playing game developed by Bioware. In this third installment to the Dragon Age series, players take on the open-world as the only survivor of an explosion that takes place during a conference between mages and templars. The explosion takes the life of the Chantry’s leader, The Divine and also opens the breach alongside some smaller rifts. From these rifts come demons from the Fade. The player not only survived the ordeal but also obtained a marking on their hand allowing them to close these rifts. Witnessing the closing of a rift, assistants to the deceased Divine, Cassandra and Leliana ask the player in some shape or form to close the rifts. After helping, the player and various others form the Inquisition as order of the recently passed Divine and set out to tend to the matter, hoping to ultimately close the breach and deal with the one who was at the bottom of it’s occurrence. Dragon Age: Inquisition is easily the best role-playing game of this generation of gaming. Right from the beginning upon customising your character and altering them to what suits the player best, we can establish how many differing ways this game can pan out. With every decision the player makes, there is a subsequent effect on conversational options or the story itself. Inquisition is an open-world game. There is prodigious land for the player to explore and enjoy. It is remarkable. 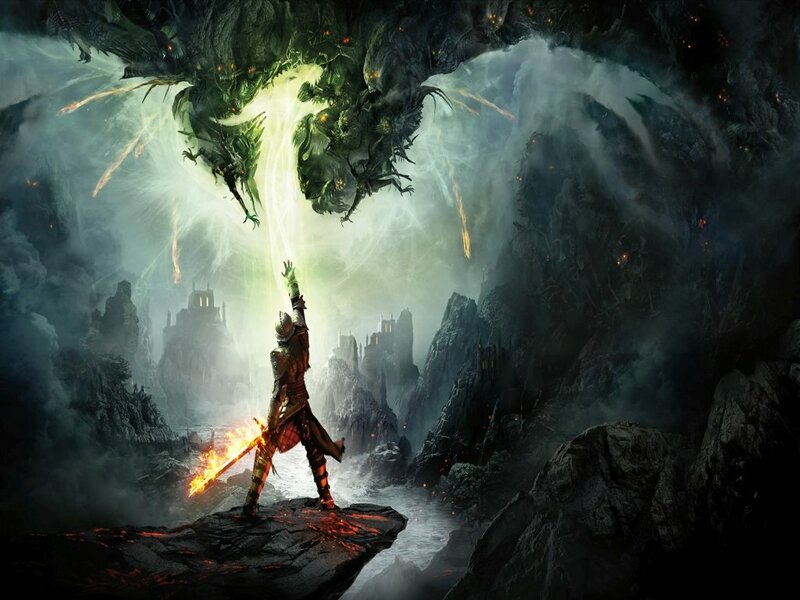 Dragon Age: Inquisition is also substantially praised for the amount there is to do. Throughout the mass of landscape a player may explore are endless quests, rifts they must close or strange artifacts to collect, all of which being somewhat rewarding to the player. Moving onto combat, as a role-playing game, Inquisition features interchangeable party members which you may recruit and customise. The brilliance of this game continues as dependent on your selected party, the team will talk among themselves as you journey through the game. Whether it be insightful or just humorous banter, the player will feel obliged to continue switching up their party in an attempt to induce more conversational options. Players may also craft armour and weapons for themselves and their party members. Dragon Age: Inquisition is such an ingenious game. With next-gen capabilities allowing the endless landscape in which you can explore to be so thoroughly vibrant and beautiful and with so much to do, it isn’t a game you can dedicate a mere hour or so to. With such an emotional and compulsive story, even when you finally conclude the many hours spent playing the game, you’ll dive straight back in, make yourself another inquisitor and take the game via a different route. Naughty Dog’s The Last of Us has rightfully earned well over 200 Game Of The Year awards. This post-apocalyptic survival-horror is set briefly before and then after the occurrence of the outbreak of a mutant fungi. 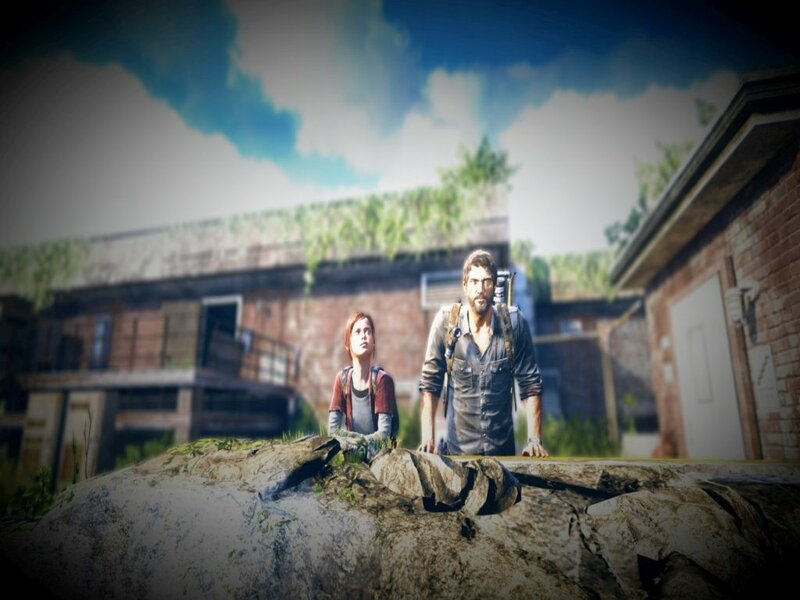 The game follows our male protagonist, Joel who after surviving the initial outbreak, takes shelter in a quarantine zone with his companion, Tess. As supplies are short, the pair make a deal to transport a girl, Ellie (our female protagonist) out of the city in exchange for weapons. Despite the lack of information as to why she needs transporting, the pair comply and so begins the story. Now, I will admit I feel rather cliche allowing this game to steal the top spot, but I feel no means of regret doing so as it is quite easily one of the most memorable and emotional games to date altogether, let alone on this platform. 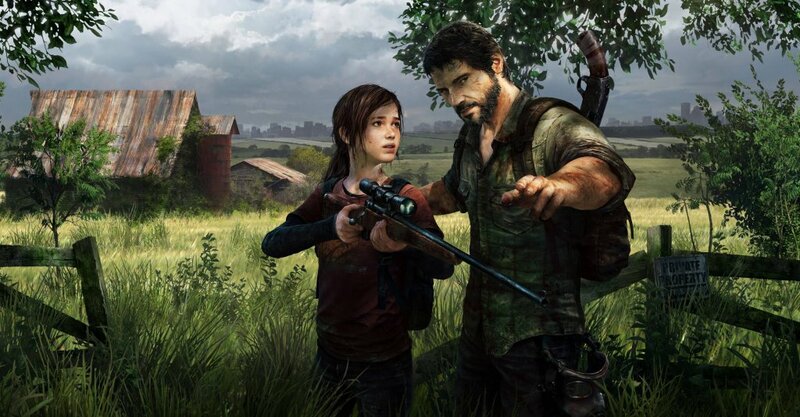 Naughty Dog’s entire focus with The Last Of Us was to orientate the game solely around the two protagonists and their relationship and in doing so, managed to amplify the harshness of the post-apocalyptic surroundings. In correctly assigning this games center of attention, Naughty Dog have made what the player is yet to experience or even comprehend, so real. You can almost feel the pressure of scarce resources, surviving among the infected and how it would really challenge the companionship. Naughty Dog developed such a well established hierarchy for the infected. At the bottom are Runners, recently infected folk still possessing human qualities, but highly aggressive. A step up are stalkers, these infected actively hunt the player. The most troublesome of the infected are the Clickers. Their faces have been dominated by fungus and although unable to see, are immensely sensitive to sound, using echolocation to seek out the player. Sitting atop this hierarchy are Bloaters, completely devoured by the infection, they have fungal armor and take a vast amount of ammo to take down. Although much bulkier, Bloaters are uncommon and the player will not encounter these much throughout a play-through. The Last Of Us has plenty of collectibles, some of which are further insight to the apocalypse and rather interesting to read. The Last Of Us: Remastered also contains the Left Behind DLC. This is a blessing for any player who has indulged in the game and craves more. Left Behind takes it’s focus to Ellie and enlightens the player in essence of how she came to be in Joel’s company. The Last Of Us is almost like watching a film, or living it’s happenings for yourself. With such a deep story, swamped with all means of emotion, as a player, you will become completely engrossed and intertwined in this journey. From start to finish a player will seek satisfaction from the story they most likely wont find purely due to the how real the game appears. The Last Of Us is a game that will linger within you for an endless amount of indescribable reasons and you will long to play it again and again. It is well-deserving of this top spot. Next articleIs The Witcher 3 Overhyped?